Overheard: “All you need to top off the most basic look? Cool sunglasses and a great handbag.” True or not, this water cooler quotable does bring up one style conundrum: which sunglasses are best for your style? Whether you’re classic through and through or march to the beat of your own (style) drum, here are three quick tips to find the best shades for you. Sunglasses should enhance your personal style. Love clean lines? Try aviators. Are you more retro? Look for a chic cat-eye. Work with your face shape. If you have a round face, find shades that give your more angles. If you have a square shape, try rounder shapes to balance the angles. Keep frame size in mind. They should suit the size of your face without overwhelming you. Read on to find more ways to find the right pair of sunglasses for your style and face shape. 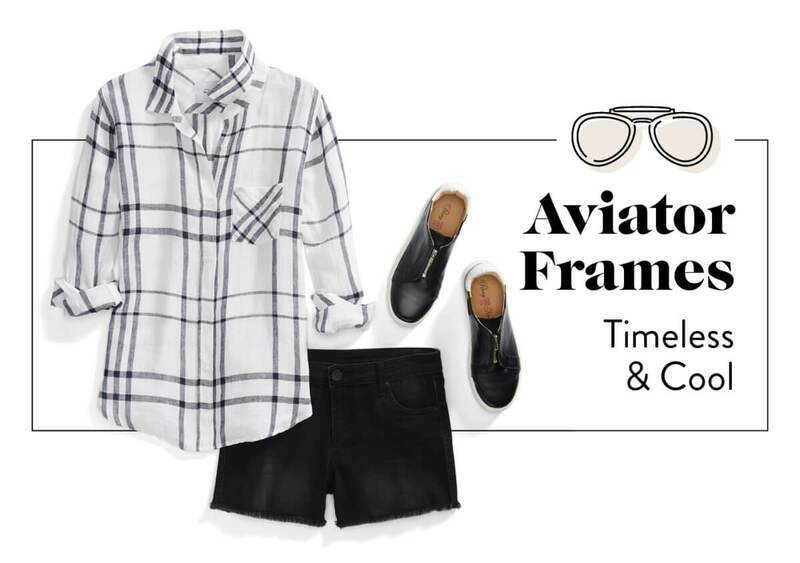 These retro throwback shades scream ‘50s chic and weekend getaways to Palm Springs (sign us up!). Look for a cat-eye frame to top off your California (read: insouciantly cool) everyday outfits. Do you have a round face? 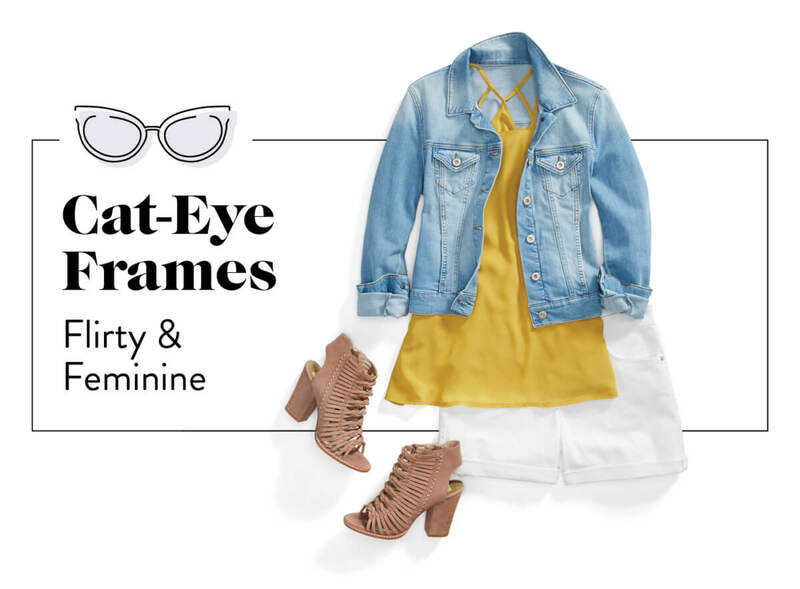 Try a sleek cat-eye frame to bring contrast to your face’s natural curves. 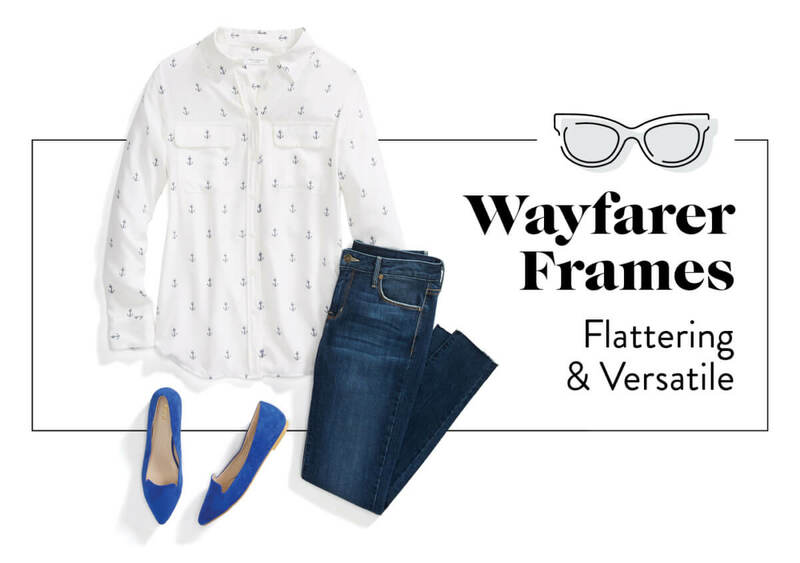 An occasional print—like stripes, dots or anchors! These thick, plastic frames are durable & practical, perfect for afternoon sailing, horse race watching or trips through the carpool lane. 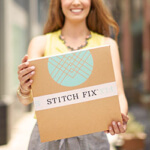 They come in a variety of colors—try one in a fun hue for summer! Looking to invest in a pair? 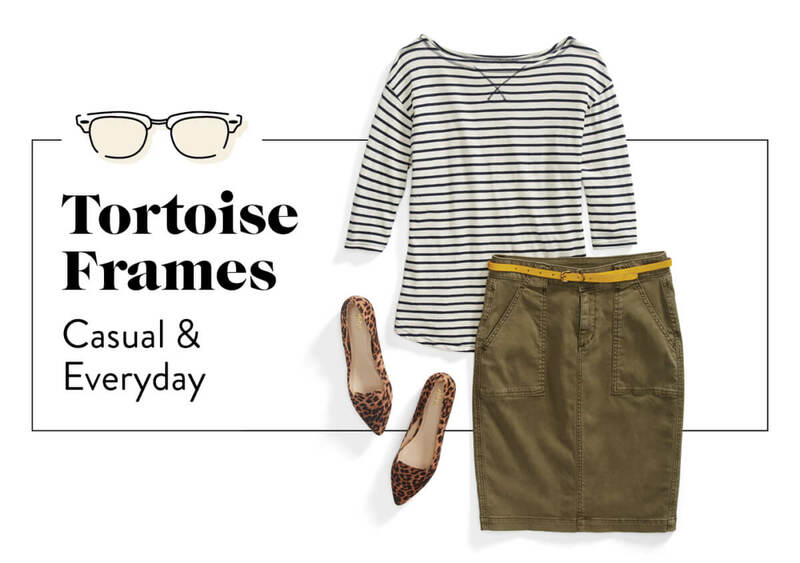 Stick with a neutral like black or tortoise shell for a lighter feel. Add an extra pop of “print” to your outfit with speckled black & brown frames. This unique coloring is flattering for all skin tones and will complete any casual look. Try them in a brow-grazing silhouette for a sophisticated, street style feel. 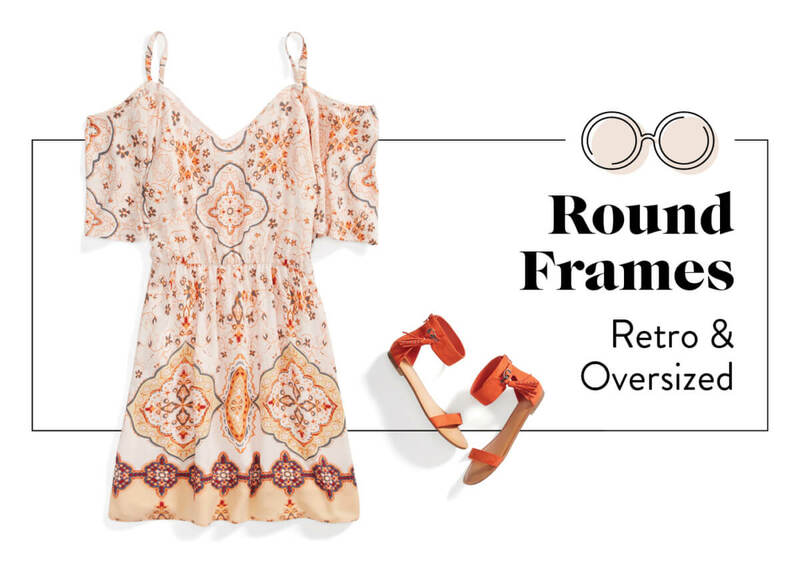 What goes around, comes a-round—including trends! Channel your inner free spirit with circular frames—the oversized lenses not only provide lots of sun protection, they make a major statement. You can find an affordable pair in a variety of stores—meaning you can test the waters before diving into this retro style. These frames are especially great for a square face or angular jawline—this shape will soften the sharpness and balance your angles. What sunglasses do you sport? Do they suit your style? Sound off in the comments!